On Friday 7th October, the Mayor of Bicester, Cllr Jolanta Lis, is holding the first ‘Mayor’s Golf Day’ at Kirtlington Golf Club. With 18 holes and hot buffet meal, prizes and bacon rolls, you won’t want to miss out!! For more information on how to enter a team of 4, click here. The annual Civic Service and parade will make its way through Bicester Town Centre this Sunday. The events starts with a church service at St. Edburg’s Church at 11.15am and is followed by the popular parade at 12noon. 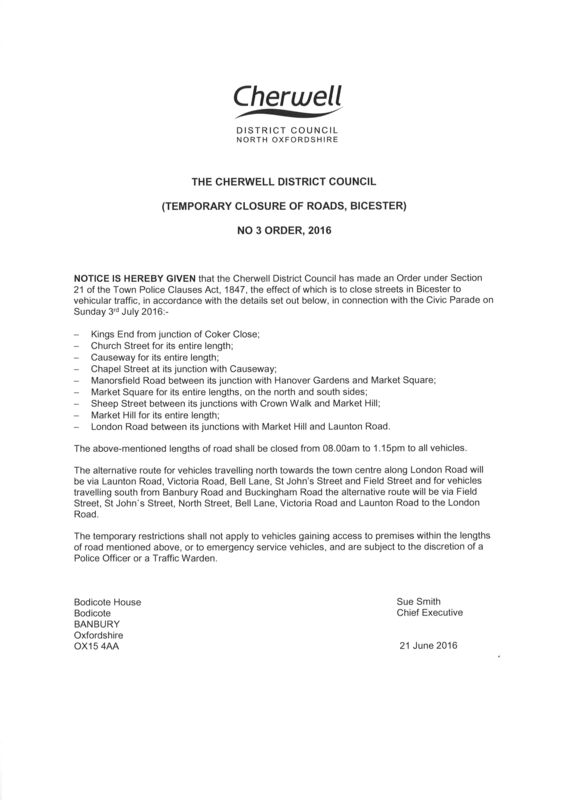 Please note: Due to the Civic Parade, there is a temporary road closure in place during the hours of 8am and 1.15pm. Please click here for the full closure. Furthermore, parking is not permitted in these areas from 6am and these strict restrictions means cars parked will be towed.